Job Title:Electronic Hardware Engineer Excellent opportunity to work on cutting-edge projects for an internationally-renowned, research-focused BMS company. Location:West London Salary:£30k - £40k basic salary (dependent upon experience) The Role Bluefire Consulting are recruiting for a Hardware Engineer to design bespoke PCBs for a world-leading BMS organisation based in West London. Excellent opportunity to work on cutting-edge projects for an internationally-renowned, research-focused BMS company. Bluefire Consulting are recruiting for a Hardware Engineer to design bespoke PCBs for a world-leading BMS organisation based in West London. As a successful Hardware Engineer you should have a background within electronics and be experienced using the Altium PCB design tool. A degree (or equivalent) in Electronics or a related discipline would be viewed as highly beneficial. Ideally you will have some working knowledge of software development to allow multi-disciplinary cooperation throughout the R&D department. The organisation is looking for a Hardware Engineer who is research-focused and constantly willing to learn new technology and keep up-to-date with advancements in the electronics field to apply them to ongoing projects. Our client is a well-established BMS organisation specialising in lighting controls and energy management with sites in the UK and across the Middle East, supplying high-profile projects in those markets. The organisation is highly R&D focused a successful Hardware Engineer will join a small, dynamic team who is given a lot of autonomy to find bespoke intelligent control systems which are quality-driven, sustainable and efficient. 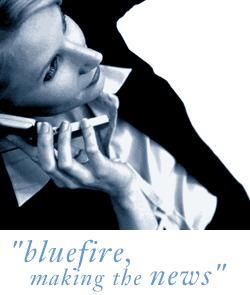 Your application will be reviewed by the consultants of Bluefire Consulting Ltd. Please be aware we receive a high volume of applications for every role advertised and regularly receive applications from candidates who exceed the job credentials. We will only contact you within the next 28 days if you are selected for interview.